Dr. Mark Stengler works with BestHealth Nutritionals to develop the highest quality supplements, heart health formulas, and natural solutions for all of your health needs. As one of America's leading natural medicine doctors, Dr. Stengler's passion for natural healing infuses everything he does. If you've seen his weekly show on PBS, "Natural Healing with Mark Stengler," or his appearances on the 700 club, you know how passionate he is about helping people reclaim a state of vibrant health without resorting to drugs. Dr. Stengler has also appeared as a medical expert on FOX, CBS, NBC and is nationally acclaimed as "America’s Natural Doctor®." He’s writ­ten 17 books on various health topics, which have now sold over 1 million copies. 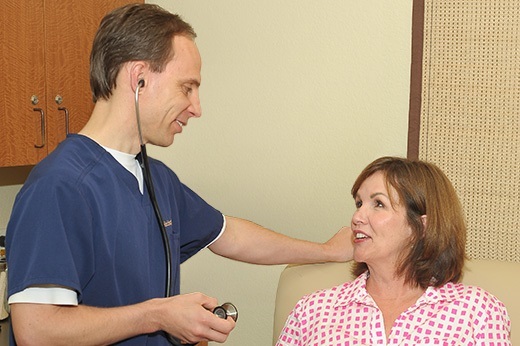 Dr. Stengler uses his diverse medical training in conventional medications and natural alternative health solutions to research and develop the products you’ll find at BestHealth Nutritionals. Some of his greatest discoveries include breakthroughs in natural heart health, adrenal support, and blood sugar support for men and women.